← Hubud Lubud And Tapi Tapi Videos By Simon From Martial Arts Planet! IRT Multiple Node Sticks Have Taken The World By Storm! I must say I am a little shocked with how well our multiple node sticks have been received around the world. As of this date I have shipped sticks to over forty countries and it seems to just keep growing every month. When I decided to begin making sticks again I knew that I had the best product out there. This was based on having bought sticks from all of my competitors in the past. It is just getting confirmed over and over again by my customers! Look at this recent review from England. These are the best sticks I have ever had. They have lasted months with no wear shown while other sticks I have used in the past wore out in weeks. If you want our multiple node sticks, please understand that they are fire hardened, lacquered each one is made with love and care by a master craftsman! Best thing about this type of rattan is that it feels like a bolo. It is like you are holding a bladed weapon as the end where you hold slightly widen and curve. 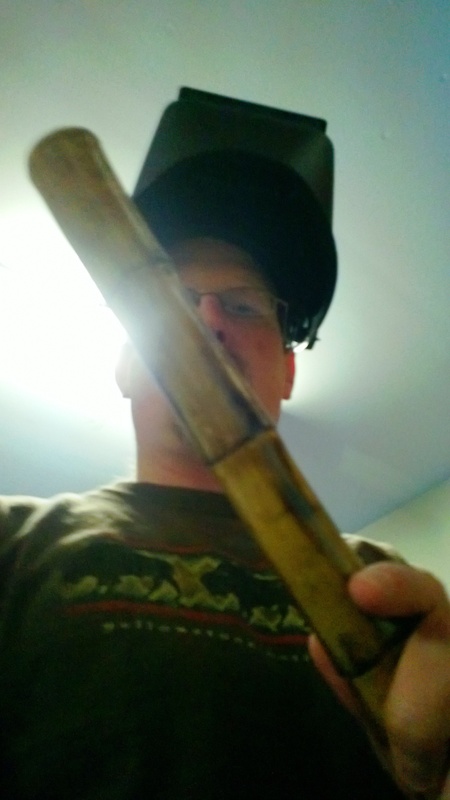 This entry was posted in martial arts, self defense, personal protection, instin and tagged Arnis Sticks, Brian R. VanCise, Escrima Sticks, Kali Sticks, Multiple Node Rattan, Rattan. Bookmark the permalink. 2 Responses to IRT Multiple Node Sticks Have Taken The World By Storm! Received my multinode sticks today and couldn’t be happier. Remember … it’s not bragging if it’s TRUE. And these sticks are everything promised and then some. How wonderful it is to have at least some products that exceed the advertisement behind them. My only suggestion to fellow buyers, would be to make sure to always order a pair, or better yet, two pairs or more, so that a training partner can be armed with the same. These “combat-ready” sticks are going to destroy lesser material. As for Brian VanCise, not only are his sticks of the highest quality, but the customer service is unmatched. When monies permit, I’m looking forward to enjoying some of his many other products. Thank you so much for your kind review I definitely appreciate it. They really are beautiful rattan sticks of the highest order. Tough to get but simply a big step up from other rattan sticks out there. Thanks again and I always appreciate your business!